The Association for Open Data of Public Transportation has promoted the openness of public transportation data with an aim to make public transportation in “Tokyo,” which is said to be the world’s most complicated, easier for all people, including foreign visitors, people with disabilities, and elderly to navigate. 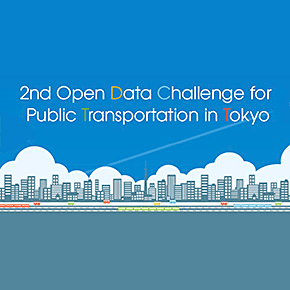 In addition to various data of public transportation in Greater Tokyo, the “2nd Open Data Challenge for Public Transportation in Tokyo” will publish the data prepared by Ministry of Land Infrastructure, Transportation and Tourism on the intra-station map and its facilities of the train stations around Shinjuku station and Tokyo station. The contest is open to applications or ideas that support “Tokyo” anticipating the year 2020 when people of different nationalities, ages, occupations, and physical characteristics will visit there.